Following the recent news of the death of Antonin Scalia, a political battle has erupted between both sides of the aisle as Obama is set to fill the now void seat. I would like to make some comments first on the life and death of Scalia, then to this political nightmare as the Supreme Court gains a new member. Shortly after the news that Justice Scalia passed, social media erupted with expected sadness but also praises from those effected by his Bronze Age interpretations of law. It should go without saying that Scalia wasn’t the most liked justice in recent years mostly because of his unchanging legal purism on every issue from abortion to gay marriage. I personally didn’t like or appreciate Scalia when he was alive, and I will not like or appreciate him after his death. To me, Scalia was a perfect representation of an anti-modernistic, wholly regressive, elitist, pseudo-scholarly, babbling mad-man set on reversing every social progression this nation is proud of. I would have said it to him when he was alive and I will not abandon this opinion of him postmortem. It may seem poor taste to speak ill of the dead, but if that were the case then how dare we disagree with any now-historical figure? 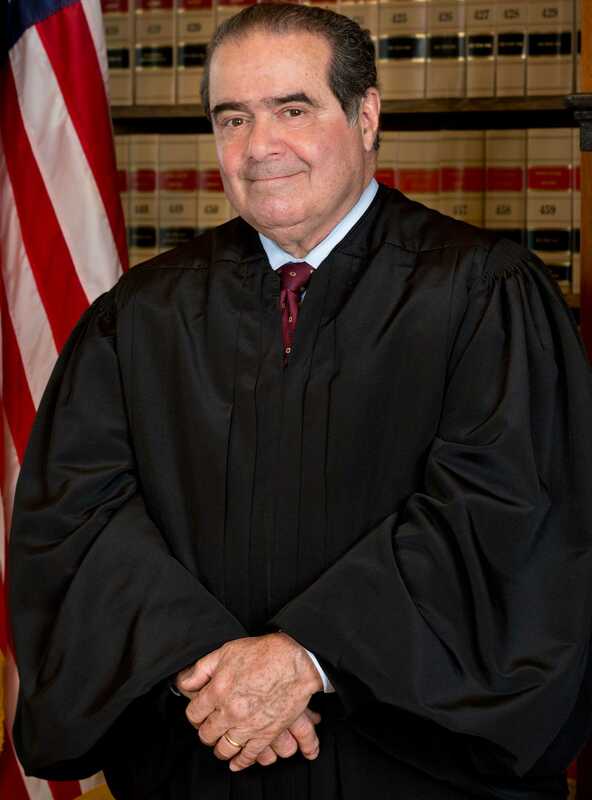 I am not celebrating his death by any means, but ask me my opinion of Justice Scalia and I will not lie when I say that I just hope his ideology died along with him. If there were ever a better case study of political and ideological corruption in the Supreme Court, one should look no further than Justice Scalia. His ‘if it’s not in the Constitution, it shouldn’t be our law’ attitude about law should raise the eyebrows of every sane human being. It is a benefit to all of us that his ramblings will no longer be echoed through the lecture halls of law schools nationwide. Yet, we are faced with filling the gap now created in the Supreme Court. This is a big deal; Supreme Court justices serve for life, which is why Republicans like Senate Majority Leader Mitch McConnell have sworn to veto any proposed candidate Obama suggests for the Supreme Court until there is a new president. Republicans like McConnell should calm down. There is a strategy to nominating Supreme Court candidates. The candidates that are selected are not far-left socialists bent on issuing handouts to illegal immigrants, they are moderate candidates with strong qualifications for the Supreme Court. Think about it, if you had a chance to appoint someone, would you pick someone reasonable or someone radical? Perhaps this isn’t surprising given the Republicans that are currently in office. They have done everything including shut down our government to contest anything Obama has done. Yet, we hear whines every morning newscast when what he has done is not sufficient. McConnell in particular has argued that his veto comes from wanting the “American people to decide the next Supreme Court Justice.” Yet, he voted for a Justice in Reagan’s final year in office. In fact, literally every other Republican senator voted for Kennedy in Reagan’s final year in office; also, Justice Kennedy would become one of the more prominent liberal voices on the Supreme Court — thanks McConnell.